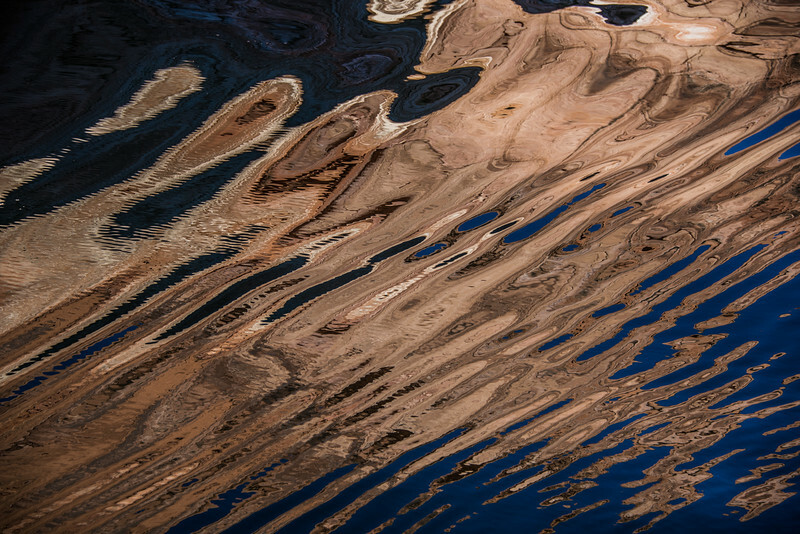 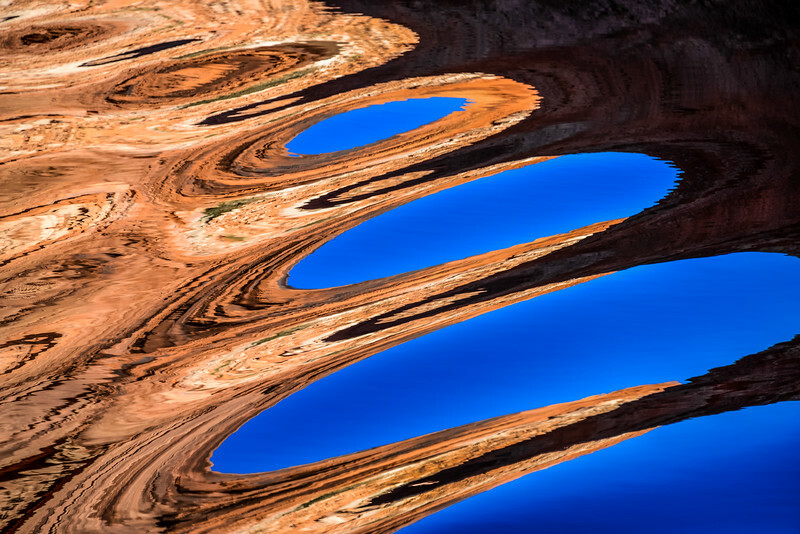 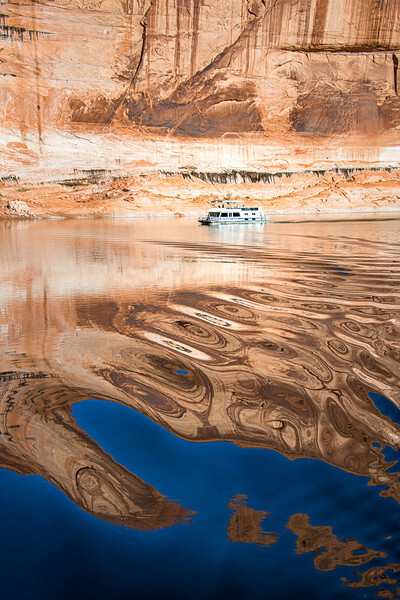 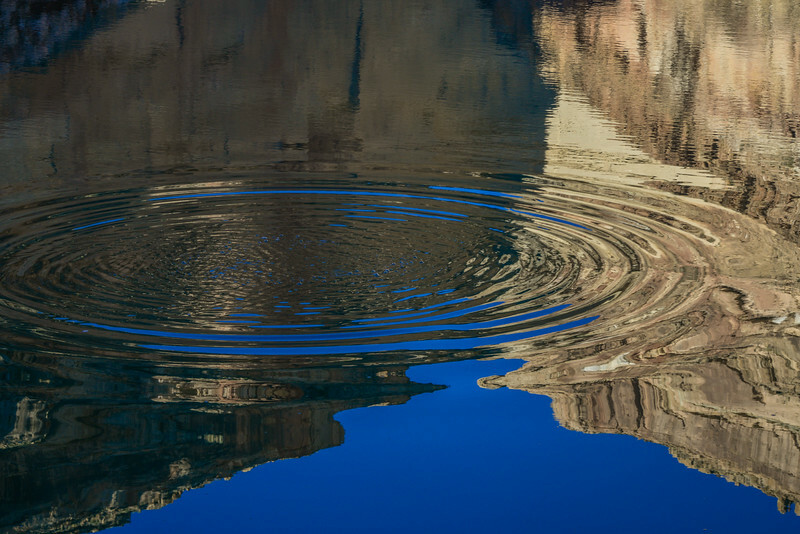 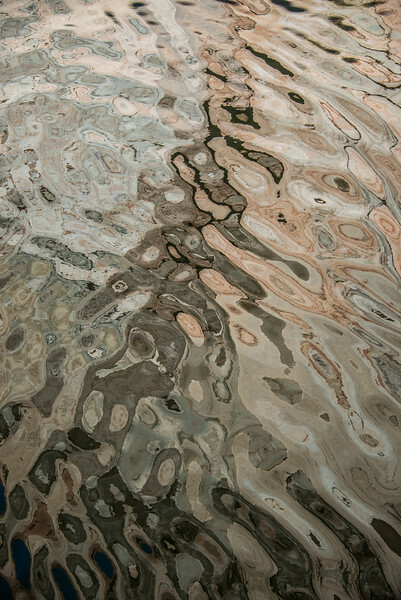 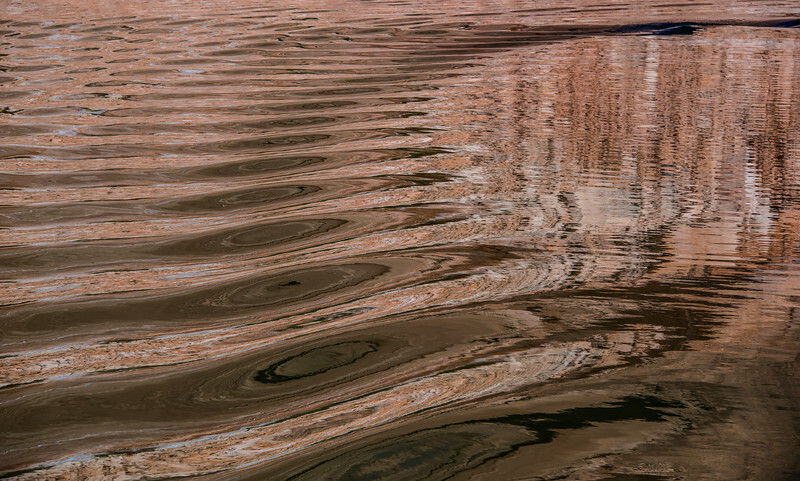 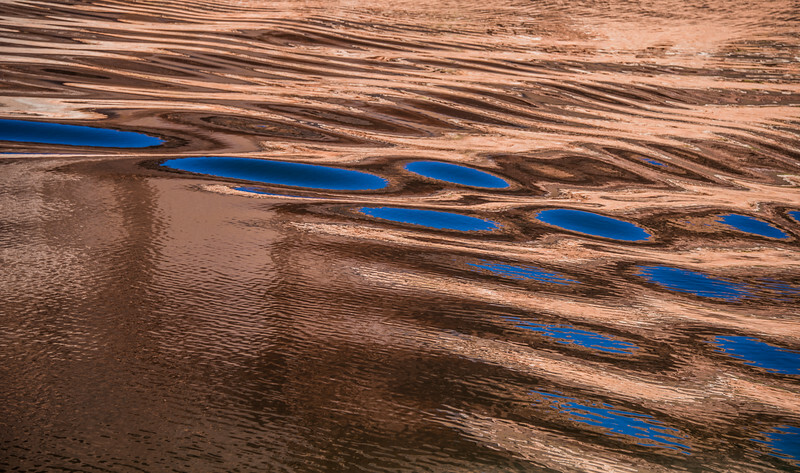 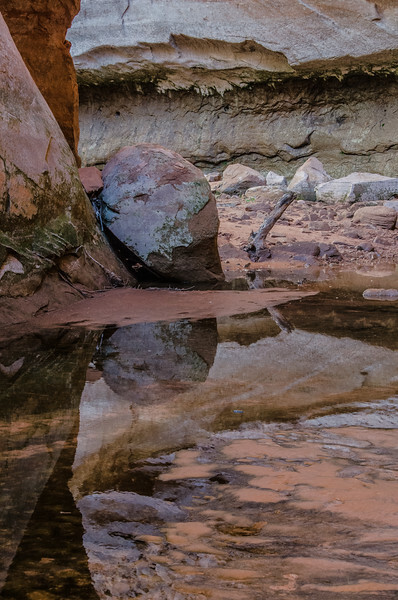 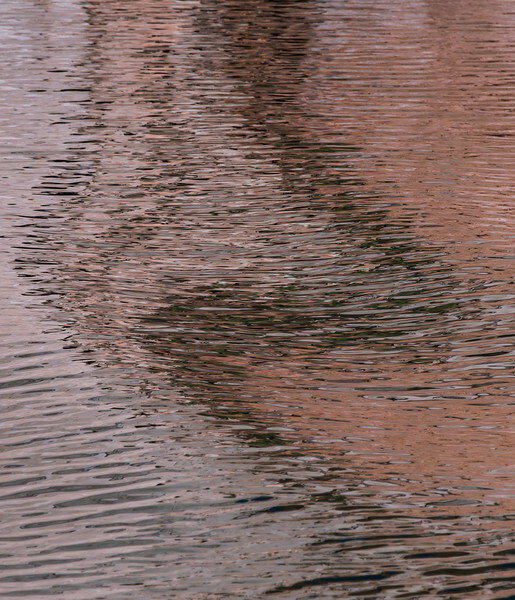 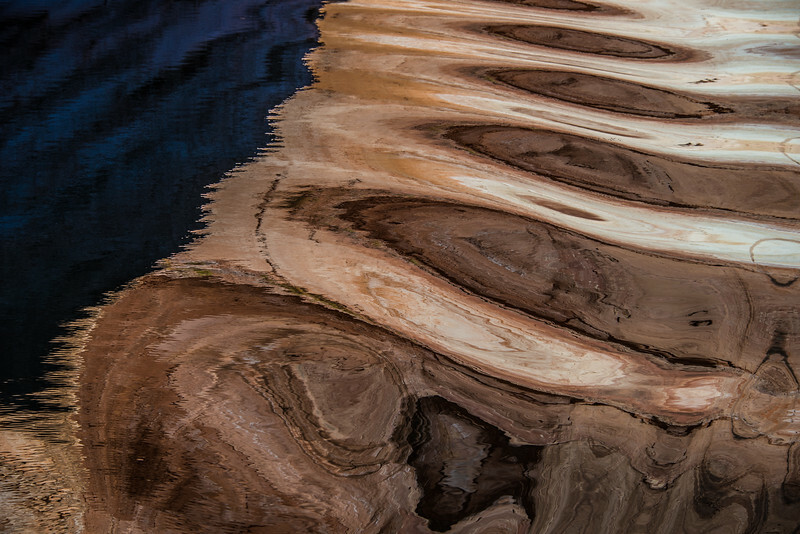 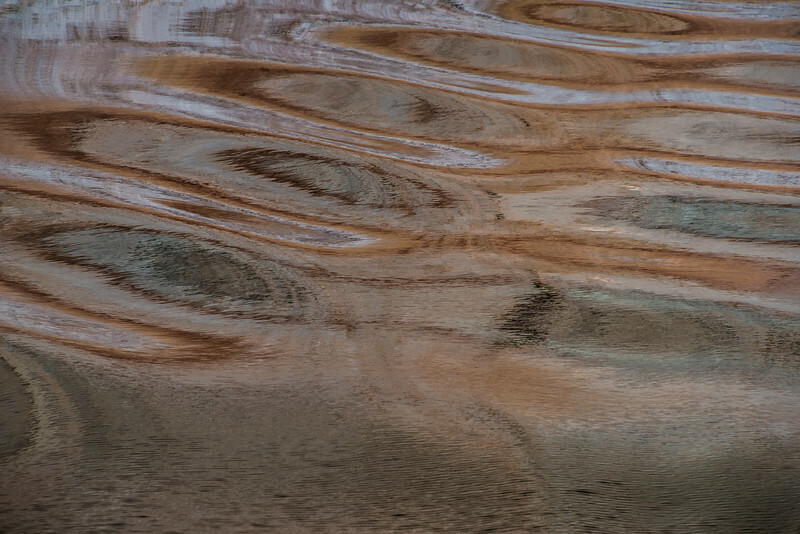 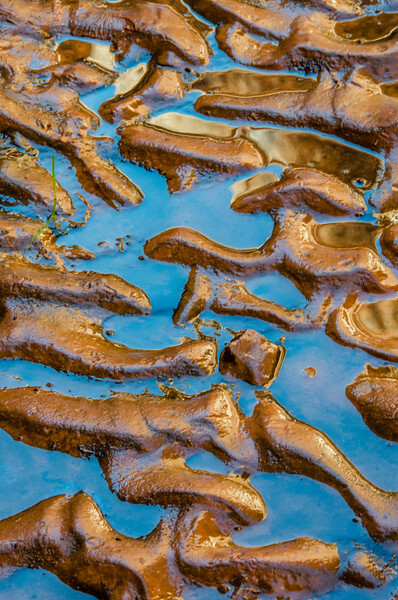 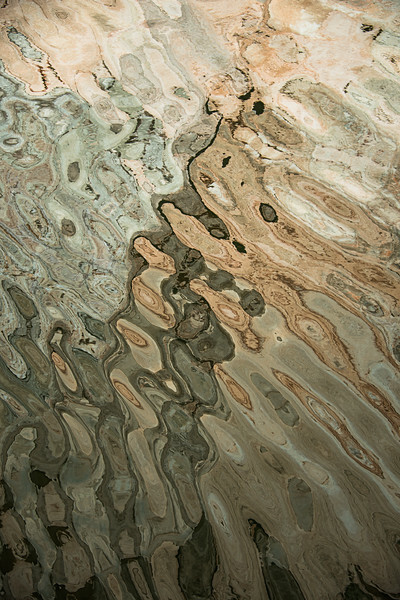 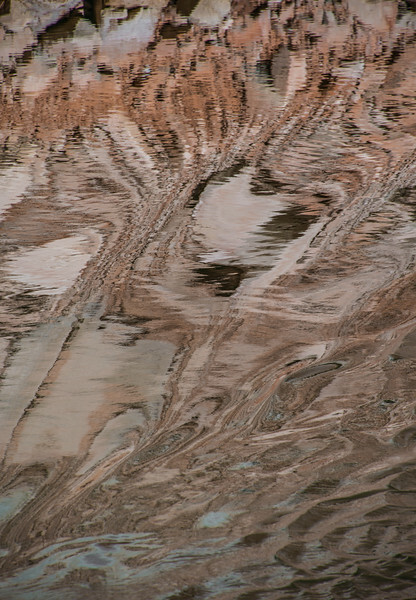 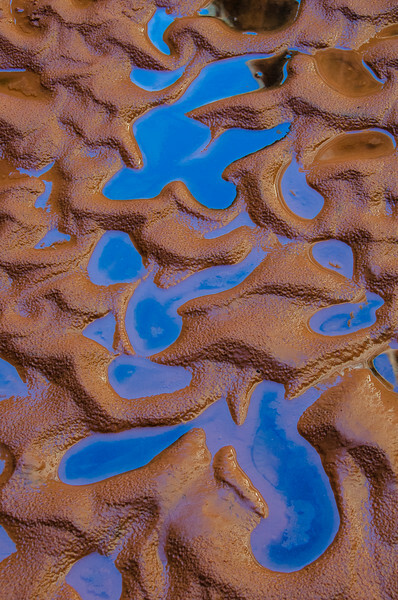 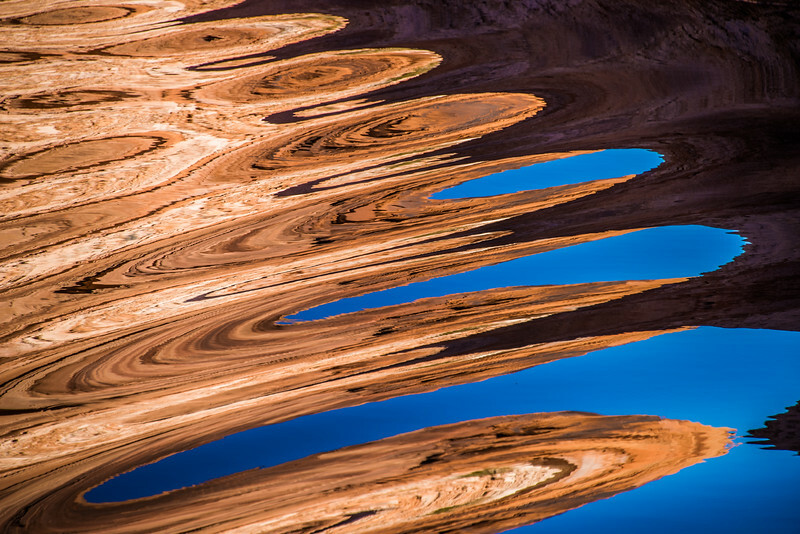 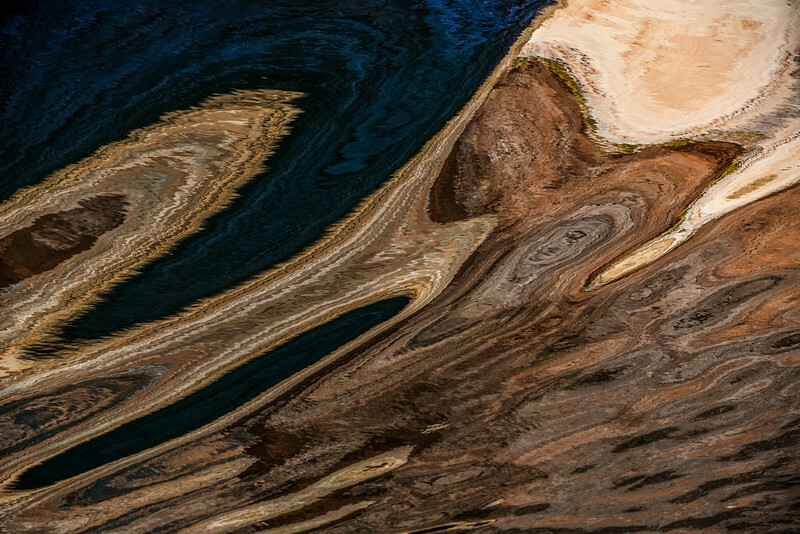 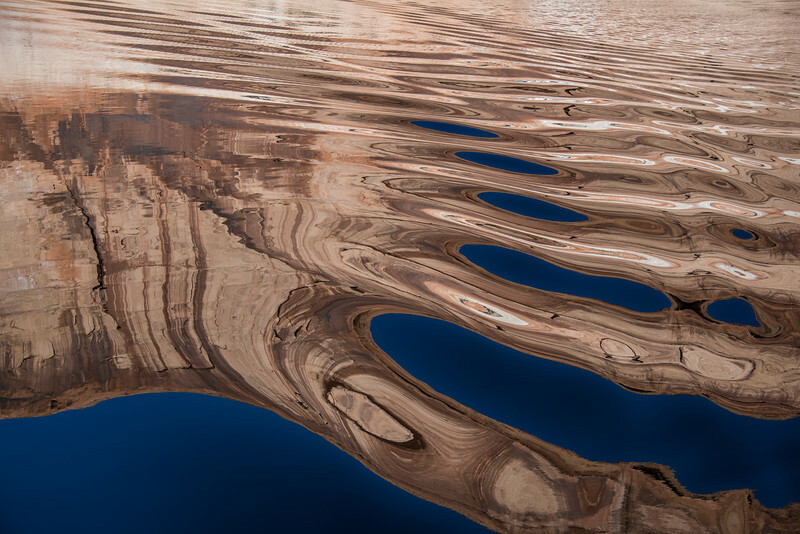 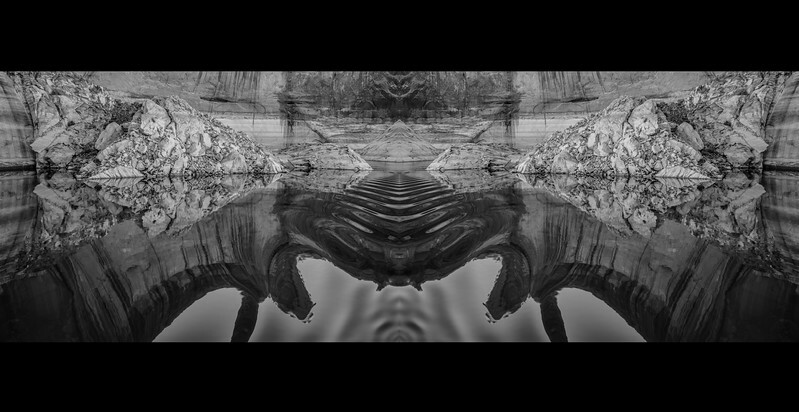 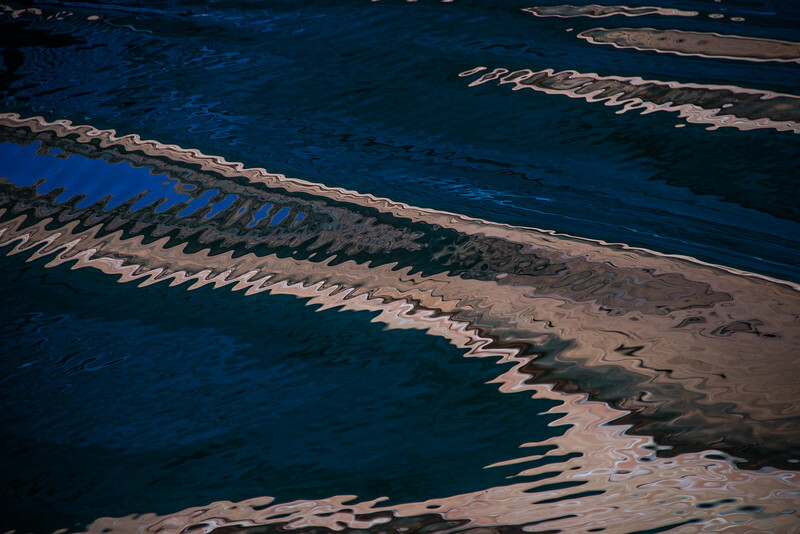 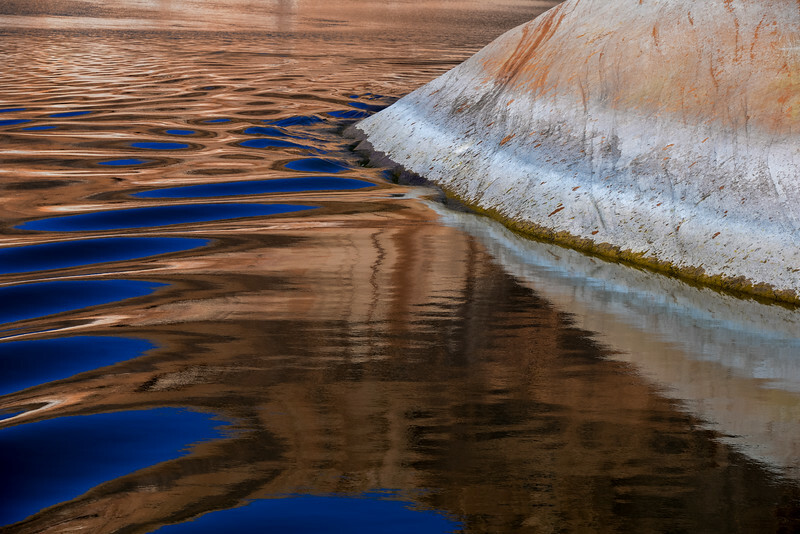 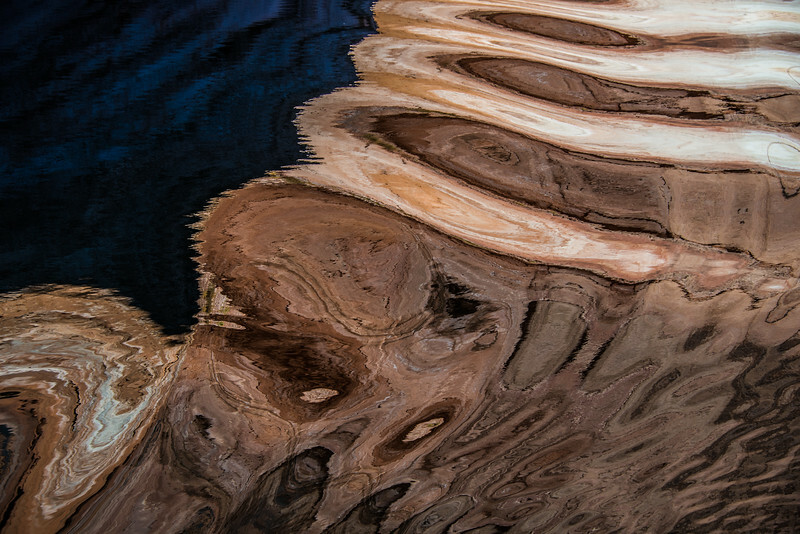 Most of these Water Reflections where taken on Lake Powell. 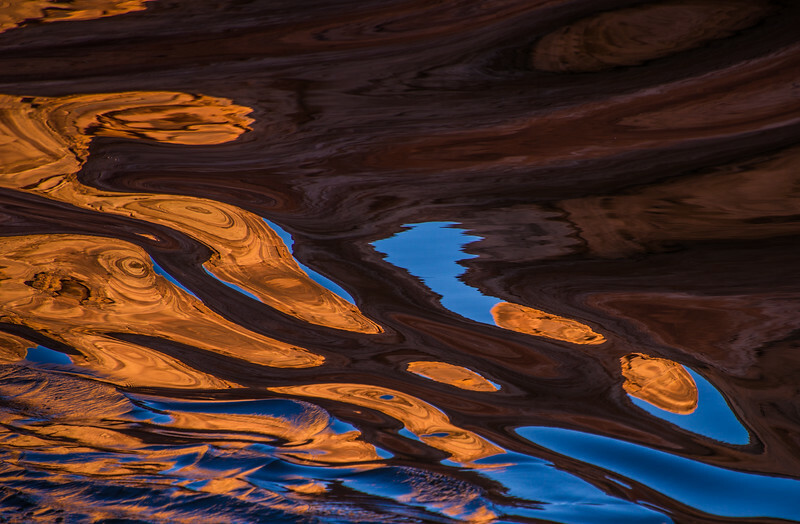 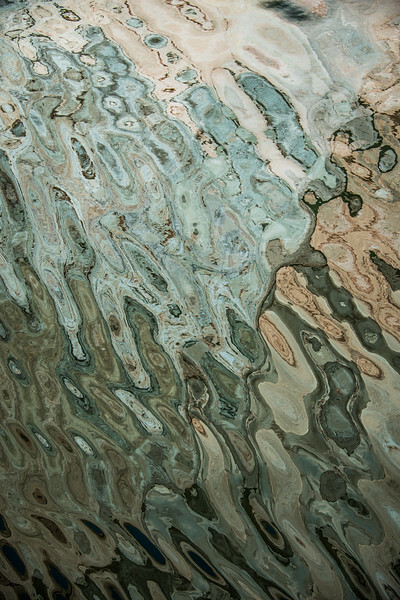 The light and color bounced from the surrounding cliff walls and the sky, are reflected onto the water surface. 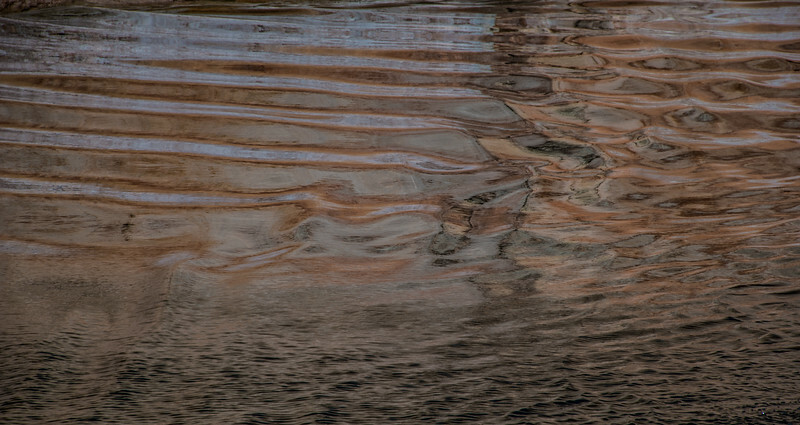 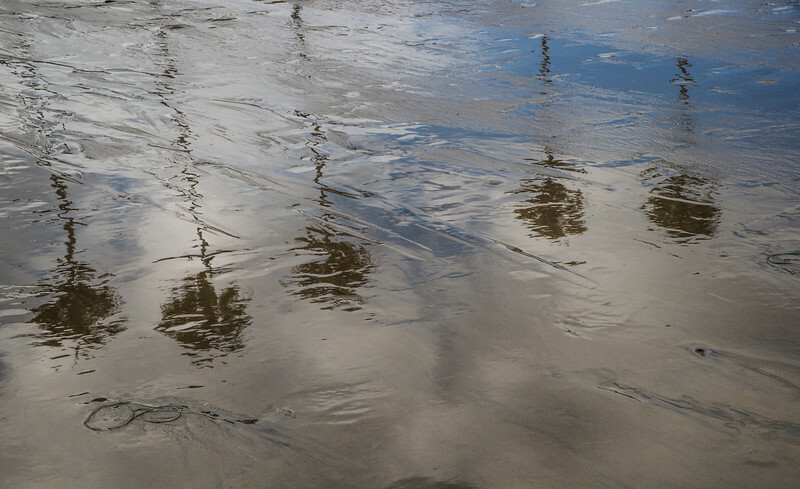 There, if the water is calm, the ensuing reflections can be stunningly beautiful. 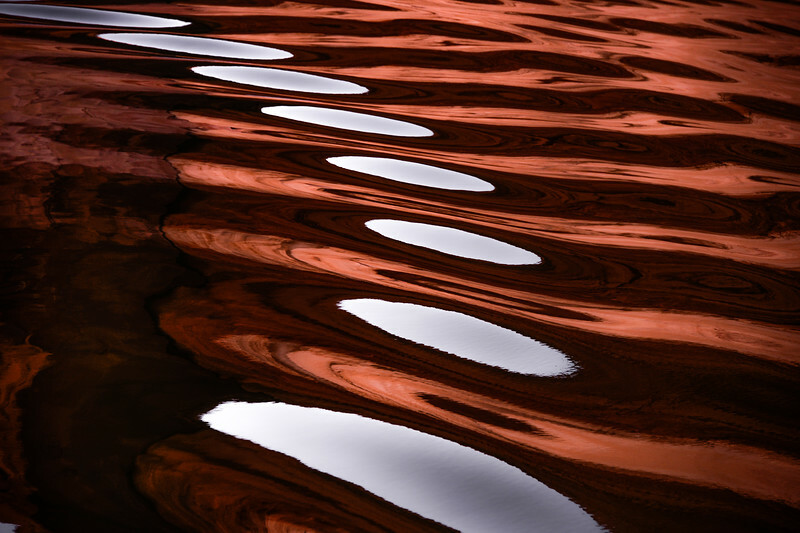 If by contrast the reflections take place on the wake of the moving boat, an unending palette of shapes and patterns is created.